Home » The County » Look! Up In The Sky! 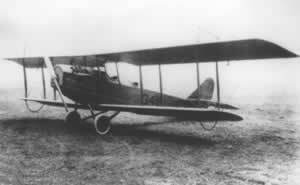 Before the World War, most people of Rutherford County had only heard about airplanes, or “aeroplanes” as they were called. After the 1918 Armistice, some of the Army pilots, now enamored with the thrill of flight, sought to continue their pursuit of aeronautics. A few purchased their own planes, either new or war surplus, and began “barnstorming,” or staging exhibitions of their flying skills for the general public. The shows were put on for a fee, of course, which enabled the crowds to witness the pilots’ skills. For an additional fee, they could actually participate by going on sightseeing rides. This allowed the fliers to receive some income from their newly found profession. Some of the earliest recordings of these events in Rutherford County were printed in November 1919 in the Sun newspaper. The airplane which was scheduled to fly over Henrietta and Caroleen on Monday did not come owing to the fact parts to the plane were broken when the machine landed in Lincolnton and the parts did not arrive from Washington. S. B. Tanner had originally secured the services of the pilot and plane in Charlotte where he is living at this time. Thousands saw the Liberty Flyer do many stunts, an air parachute drop, and looping the loop. The Henrietta-Caroleen people enjoyed last Saturday afternoon when the airplane visited the town. The weather was ideal for flying. As the airman was expected at one o’clock, a large crowd was eagerly scanning the sky in the direction of Spartanburg from which place the man was expected to start. Suddenly the airplane appeared as a mere speck against the western sky but in a few minutes the roar of the engine could plainly be heard and then the plane looking like some giant bird with the sun gleaming on its side, was directly overhead and for an hour the Bird Man entertained the crowd by such stunts as looping the loop, the nose spin, and other stunts which are common enough to the airman, but are thrilling to one viewing an airplane for the first time. He would soar high in the air till it would be seen to turn over and over with a straight drop toward the earth till it would seem to the onlookers that he must be really falling, then the machine would be righted and away it would go again. The feature of the entertainment was a parachute jump from the airplane when it was 3,000 feet in the air. At first it looked like a scrap of paper then as the crowd realized that a man had actually jumped with a parachute, which was slowly opening and looked like a small red, white and blue umbrella and the man a tiny dot, but as he rapidly neared the earth he could plainly be seen swinging this way and that until a safe landing was effected much to the relief of the expectant crowd, which for a moment lost sight of the of the plane, so interested were they in the parachute, however the man in the plane continued to circle around getting nearer the earth until with a final swoop to within twenty five feet of the ground he waved goodbye and within a few minutes disappeared in the distance.